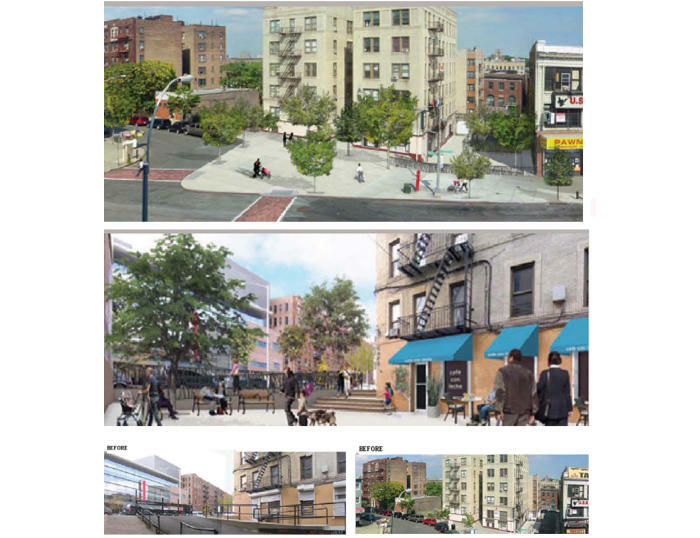 Community Assistance Program, City College of New York Spitzer School of Architecture 1. 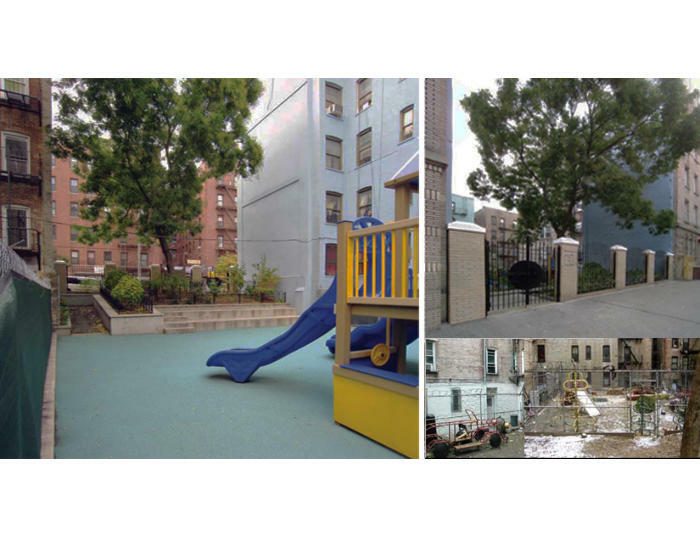 Lisa Saenz Park, the Bronx, New York City Design and built a small minipark in an abundant and trash filed area among public housing, supervised by a nonprofit organization. The design minimal budget was devoted to the rebuilding of a crumbling 12-foot retaining wall to support the park and separate the residents living on the lower levels. A sitting wall and handicapped accessible entrance was built in such a way as to maintain the only surviving tree. Decorative fence and signage was installed in addition to the donated play equipment and the planting of ground cover 2. Library Lane, the Bronx, New York City The design for an alley between two streets facing a new public library with a 20 foot difference in elevation, creating a new plaza at street level facing the public library. The semi private plaza is six feet below the entrance to the building and the walkway is fully accessible. Recycled concrete paving was used for the retaining wall. 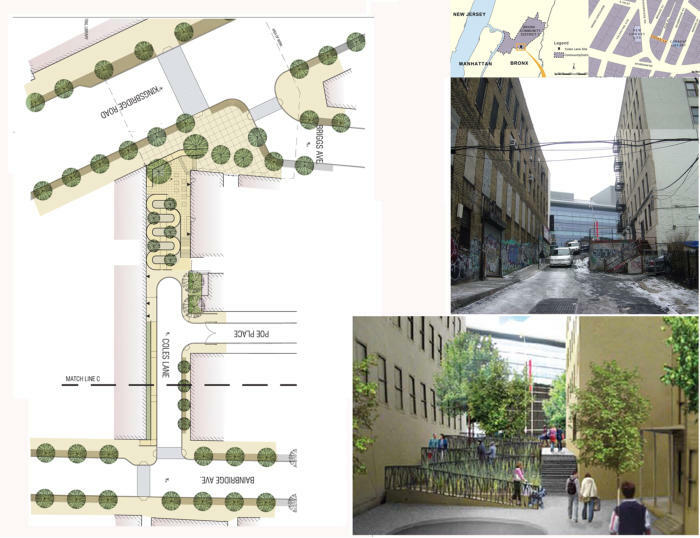 Access was enhanced and a tree lined sidewalk created in the street below, while providing required vehicular access. The first phase has been installed and future phases scheduled. 3. Traffic Circle, Hempsted, Long Island The design and plan for a traffic circle on a major intersection with frequent accidents. The design also provides for the creation of a constructed wetland and restoration of the creek abutting the high school grounds and the state park to the south of the circle. The first phase of the boulevard tree planting scheme has been implemented.